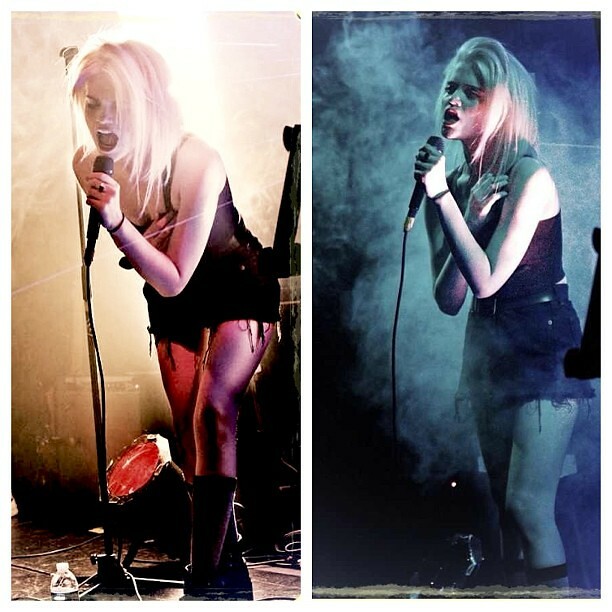 SKY FERREIRA POSTS TEASER FOR "YOU'RE NOT THE ONE"
Sky Ferreira performs at The Bootleg Theater in April. It's been a newsworthy month for model/singer Sky Ferreira. Probably the most famous model/singer you've never heard of with the most anticipated album since she performed for the first time onstage last year at The Bootleg Theater. Gracing the front cover of every single fashion magazine on the Earth and selling out venues without having a proper album release she recently made headlines when she was reportedly arrested, along with her boyfriend Zachary Cole Smith, for drug possession in New York. Sky was booked on misdemeanor charges after police say they found ecstasy in her possession and was also charged with resisting arrest. All this as her label finally announced that her highly anticipated debut album titled My Night, My Time will finally be released on October 29th. Today, she released an official music video teaser trailer for her upcoming single "Your'e Not The One." Check it out below along with a live performance of the song.